Nadine and The NL Ferrata Team strive to orchestrate the most rewarding real estate experience possible. After working in executive sales for Fortune 500 companies for over 20 years, Nadine decided to become a licensed Real Estate Broker. Since 1997, Nadine has focused her skills on the more independent craft of residential real estate. In that time, she has skyrocketed to the pinnacle of her field as one of the top producing brokers locally and nationally. Known for providing the highest degree of dedicated service, The NL Ferrata Team assures that their clients are educated and provided with all necessary knowledge to make balanced decisions about their real estate investment. With only the clients’ best interests in mind, Nadine and her team act as a skilled advocate on their behalf. They are careful and persistent in covering every angle and the multitude of details in each transaction. The NL Ferrata Team is representative of a wide variety of property types, from modest one bedroom units to luxurious single family homes and everything in between. This proficiency has been a distinct advantage for clients throughout many different neighborhoods in Chicago. In keeping with her area of expertise and experience, Nadine has worked with multiple new developments both from project conception to back end development closeouts. Nadine uses her knowledge and passion for design and architecture to help her clients get the most out of a property. Whether it be in preparation to sell your home or visualize the potential of a new home, her design experience is an added bonus that many clients have found rewarding. Having worked with many developers, Nadine is accustomed to selecting finishes and finalizing designs, a helpful skill to share with buyers unfamiliar to the process of purchasing new construction. Working almost exclusively on a referral network basis, it seems that once someone works with The NL Ferrata Team they want to share the experience with friends and family. With their business dexterity and love of real estate, Nadine and her team have been able to maintain lasting relationships with clients, a myriad of developers and on site sales staffs. Thanks to these close connections, Nadine is often privy to ‘the inside scoop’ and uses this to best serve her clients. The NL Ferrata Team’s passion for sales and client relations has proven to keep them ahead of the game in Chicago real estate. 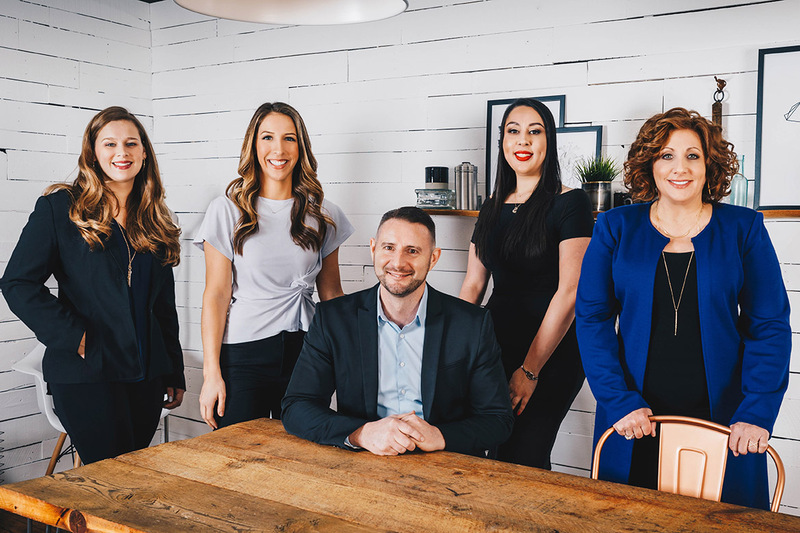 Whether helping a client buy, sell, or make an investment, The NL Ferrata Team takes every measure to assure all clients’ personal real estate goals are achieved. We have used Nadine's services many times over the years we have known her. She is smart, professional, energetic, and always gets the job done.